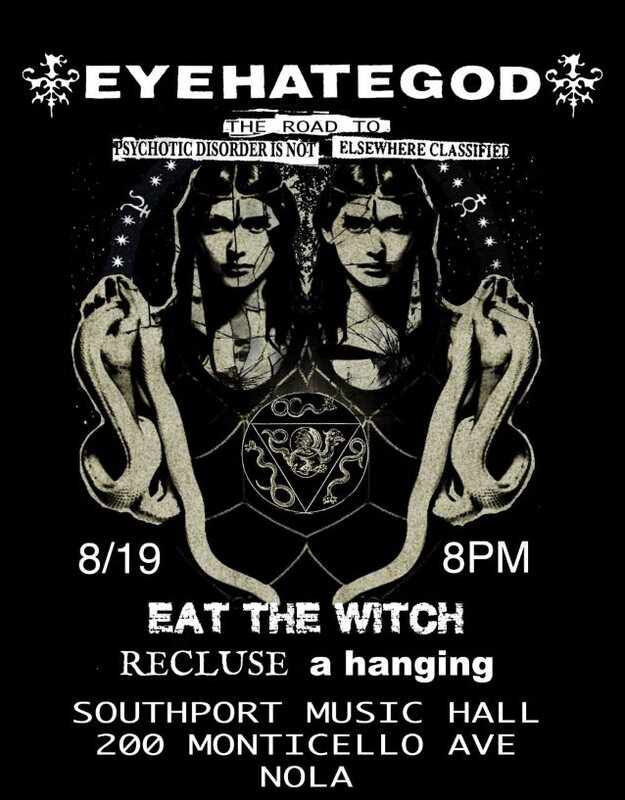 Professionally filmed video footage of former PANTERA and current DOWN/SUPERJOINT singer Philip Anselmo fronting New Orleans noise merchants EYEHATEGOD at a hometown concert on August 19 at the Southport Music Hall can be seen below. The clip was shot by Mike Holderbeast, Carolyn Babauta, Ritchi Rooster, Steven W. Richardson and Lauren LaCaze, with audio recorded and mastered by Steven W. Richardson. Anselmo also sang for EYEHATEGOD at the seventh annual GWAR B-Q on August 20 in Richmond, Virgina. Prior to the two gigs, Anselmo stated about his temporary stint with EYEHATEGOD: “When our brothers in one of New Orleans’s most influential music outfits needs me, I’m there, one thousand percent. “There is no secret that I adore my brethren in EYEHATEGOD, as I’ve always supported them through thick and thin. This present situation wil be no different. “In light of Michael D. Williams‘s health issues, which he needs to address more importantly than any other point in his life, and should be respected by anyone with a heart, I will do my best to fill in for him. Those are mighty big shoes to fill, but I shall do my best, once again. “I do believe I speak on behalf of the concerned parties when I state that we ALL NEED Mike IX Williams to heal, recover, and get better [as soon as possible]. “These gigs are NOT about me; it is about keeping the obligations of EYEHATEGOD so, as a band and force, they are able to stay true to their commitments to these two gigs. “My admiration of Mike and all his works, especially EYEHATEGOD, knows zero boundaries, hence, me doing these gigs. In a 2005 interview with Revolver magazine, Anselmo said about Williams: “I’ve known [him] since seventh grade. We’d run into each other at shows, bars, and eventually we became friends. EYEHATEGOD guitarist Jimmy Bower is Anselmo‘s bandmate in both DOWN (where Bower plays drums) and SUPERJOINT (with Bower on guitar).